This is part 2 in our series on writing more effective blog article titles. 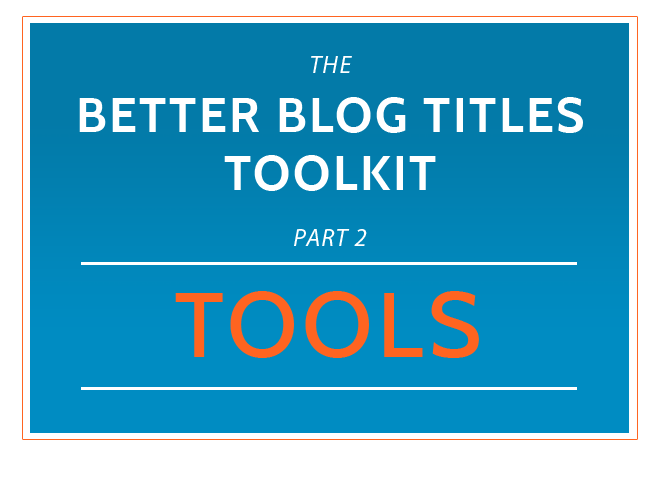 Each article in the series makes of our Blog Title Toolkit that will help you create titles that generate clicks. In part 1 we gave you a ton of blog title formulas that you could use to inspire your blog title writing. If you didn’t check out that article click here and give it a read. I think you’ll get some inspiration simply by browsing the different titles and categories. In this article we’re going to share with you some blog title (and blog topic) tools that will also help you jumpstart your title creativity. These tools are all free and are very simple to use. 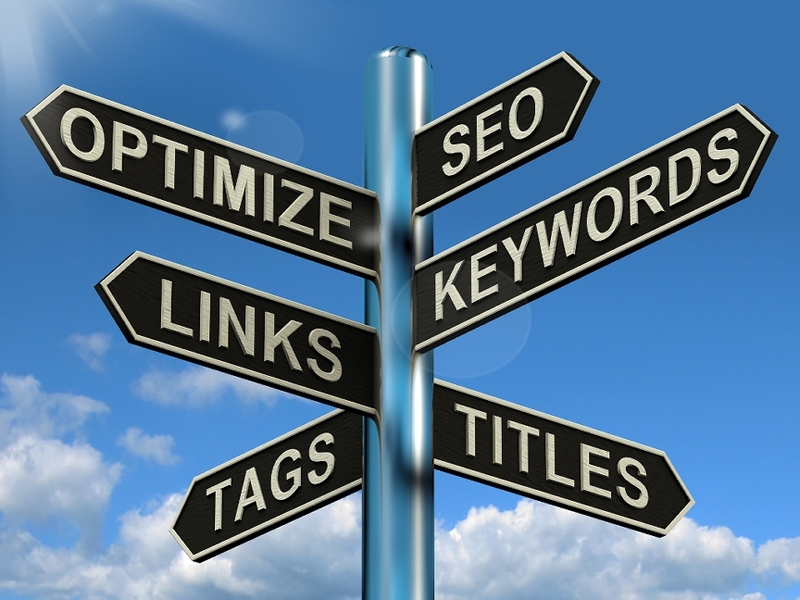 Just plug in your keyword or topic phrase, and the tools will generate results. Welcome everybody to our final installment in our keyword research for hubspotters video series. I know what you’re thinking, when the heck are they going to talk about Hubspot. Well today’s the day. We’re going to show you how to take your master list and dump it into hubspot and then we’re going to show you how to analyze and choose the low hanging fruit keywords to target with your content. Hey, everybody. Welcome, and thanks for joining us for another video on Keyword Research. In this video I'm going to share a tool with you that's going to help you to cut your keyword research time in half. But first, what I want to do is review what we talked about in our previous video, just in case you happened to miss it. In our last video I showed you how to use the Google Suggestion tool to find long-tail keyword phrases, so that you can start adding those keywords to your master keywords list, which we started to build in our first vide where I showed you how to kick-start your keyword research using the Google Keyword Planner. Hello everybody! Thanks for tuning in. In this video we are going to start talking about keyword research. I'm going to show you the tool that we use to of kick-start our keyword research process. Then in later videos we're going to show you some other tools to help grow your keyword list after we build the core list in this video. And finally, we will also show you how to analyze your keyword list to help you find the low hanging fruit to target for your content and editorial calendar. In 2014 we saw the release of Google's Hummingbird update, which allows Google to better understand the actual context of a search query by analyzing the surrounding words in the query as well as search history. So while, keyword research isn’t quite as important as it used to be since this update it is still important for a few different reasons. First of all, it helps you come up with new content ideas. Also, It's going to help you track the keywords you want to target for content so you can see which keywords are bringing you the most traffic and where you rank for those keywords. Say what you want about keywords but the bottom line is that your customers still are searching with them and your business still needs to be found by them. 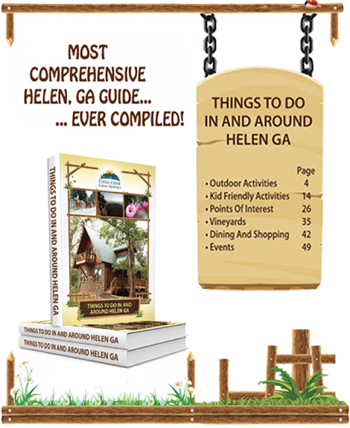 Take it from us (Cedar Creek Cabin Rentals), a company that enjoyed the spiral up when we were posting daily content to our blog with lots of keywords and lots of interlinking. That is what worked……… until it didn’t. Keywords and SEO are two words that should go together like bread and butter or Butch and Sundance. You can't have SEO without keywords, and the quality of your keywords will, in large part, determine the success of your SEO. 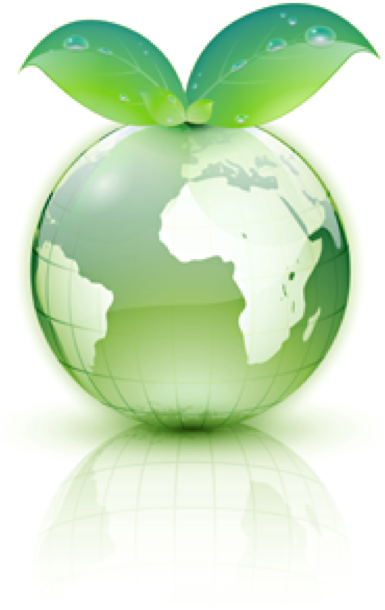 People often talk about “growing” their online business, as though it were a plant. If that's the case, than I suppose one could say that seeing results is like rain to the plant. If you get results, you will continue the growing. If you don't then the no rain and that plant dies on the vine. A smart content creation company knows that, fundamentally, the main way to grow your online business is to have a steady stream of new online visitors learning about your products. Some of these leads won't ever convert, but with sufficient nurturing, a number of them will blossom into sales and therefore growth for your company. The trick, however, is increasing that flow of traffic in the first place, which is the main problem faced by any marketing agency. So, to put our already-tortured metaphor aside for the moment, here are a few ways you can help direct more useful traffic to your site. Have a lot of internal links. This is called the “silo” technique. If you've gotten a potential customer to your site because one article interested him, you want him to stick around. Putting internal links to more articles on your site on related subjects helps establish you as an authority and encourages the lead to explore your ideas further. 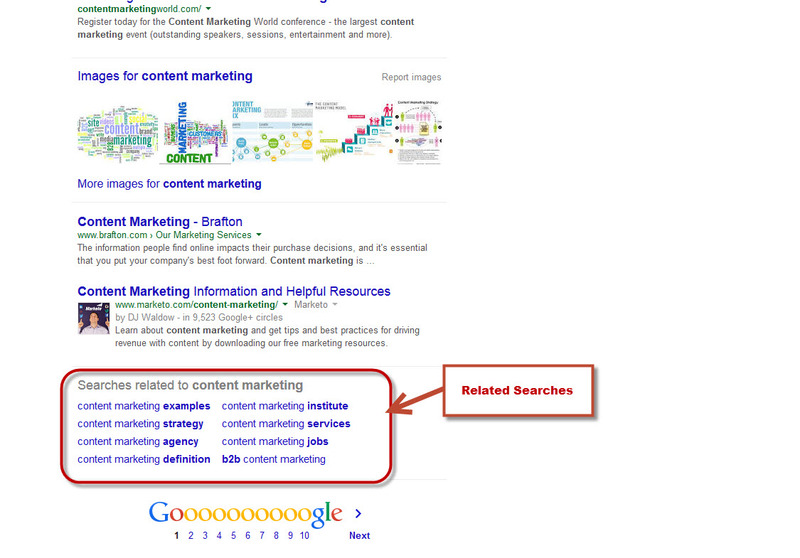 It also helps boost your search result rankings as well. Make social sharing easy. Make sure you've got embedded links on all your content pages that make it simple to share the post on Facebook, Tweet it on Twitter, submit it to Reddit, and soforth. It's bad form – and frankly looks a bit desperate – to ask people to share your material, but you want to make it as simple for them as possible. Social media optimization is great for creating organic traffic flows, since people trust their friends' recommendations. Plus, of course, if you want even more help driving organic web traffic to your site, consider contacting this Atlanta Internet marketing agency for a free consultation. We're happy to help any size business, large or small. Finally, have you got any particularly good tricks for driving traffic to your website? Let us know! You know those yogurt commercials when women compare their favorite yogurt brand to an entire host of guilty pleasures? Suddenly, yogurt becomes as good as massages and buying new shoes. Well, how would you fill in the blank when comparing your keyword research SEO tool? Your keyword research SEO tool is as good as — well, we're not sure if it's equal to massage but we have some ideas. First, the research tool is only as good as your reaction to it. The tool will return information to you based on the set of keywords you chose. It might be good news and it might tell you the keyword is far too common to truly generate leads and work well within the search engine algorithms. However, if you don't then change up your words and reassess, then your tool is as good as a concrete wall, impeding your process and holding you and your company back. Then, the research tool is only as good as your ability to change. Search engine algorithms change fairly regularly. Plus, your competitors might catch on to the unique keywords you were able to generate. You have to regularly evaluate and research your SEO and keyword to stay on top of the competition and keep your business website at the top of the search returns. With all the internet marketing products out there, keeping up with this should not be an issue. 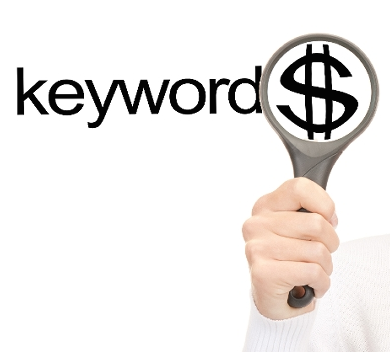 Finally, your keyword tool is only as good as the content it leads potential customers to. Today's web savvy customers recognize sloppy, boring and unoriginal content quicker than they can click the back button on their browser. You may have the best keywords in the world, but you have to provide the content to make them stick around. The SEO tool is just one piece of the Internet marketing puzzle. Make your keyword research SEO tool as good as a successful marketing plan, of traffic on your website and the sound of business on the rise. Then, with all the additional profits your company is reaping, you can buy that yogurt and a massage.